Why Strategy is Overrated | Dale Myers' Blog: Think. Plan. Act. Repeat. Ugh…I can’t take it anymore! What’s just as important to a business as strategy and more difficult to master is execution. So, what’s our fixation with strategy? Why do we all want to be strategic thinkers? Well, before I go further, let’s take a minute to define what is “strategy”? A strategy is a plan, method, or series of maneuvers designed to achieve specific goals. It’s derived from Greek, and narrowly defined, means “the art of the general, or generalship.” A strategy defines a roadmap to move forward and has specific actions designed to obtain the desired outcome. The key to a good strategy is that it’s clear, fact based, takes into account risks, and is actionable – it can be executed. A good strategy that is executed poorly is really a bad strategy. All roads seem to lead back to execution. Strategies and their related actions traditionally cascade down the management chain to lower levels of an organization that are expected to execute them. Author Roger Martin described this through a metaphor using the human body. He writes, “The brain (top management) thinks and chooses, and the body (the organization) does what the brain tells it to do.” Strategy is choosing; execution is doing. From this it’s plain to see why people want to focus on strategy; we want to be the brain, thinking, scheming, and designing strategies and actions that others are required to follow. Very few control the strategies of an organization. 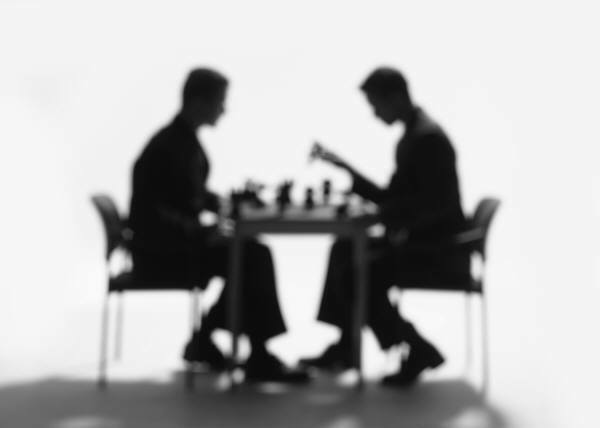 Most strategic decisions are made by a very select group of executives that are charged with making key decisions. Middle managers rarely dabble in high level strategic discussions. Rather they are engaged in how best to execute the strategies defined by the top. So unless you are one of the “strategic elite”, you will spend little time on strategy. Strategy development is not something you spend 40+ hours every week working on. Strategies are typically set periodically after the completion of some analysis, review and discussion. Once the strategies are place, the majority of your time will be spent on execution. Business strategies are often created at such a high level that they mean little to most employees. Author Harpst writes that, “Only 5% of employees understand their corporate strategy!” So if most people do not understand the strategy, how do they move forward? Well, they do what they think is right or what they have done in the past. Many strategies that I have seen are there to impress senior leaders, board members and investors. They bare little resemblance to the realities that most employees face. A strategy must provide a clear direction for an organization – if not, it’s a waste of time. But, as a leader, I want my organizational resources focused on execution and specifically making customers happy. As Michael LeBoeuf writes, “A satisfied customer is the best business strategy of all.” Employees that understand how an organization functions, its processes, systems, technologies and how to get things done – are critical to its success. Get an MBA. Here you will pick-up some of the theories, terms, tools and models often used in strategy development. Find someone in your organization that is responsible for strategy planning. Develop a relationship with them and ask for guidance. There are some good people that will be willing to help. Read everything written by Michael Porter, Jim Collins and Professors Johnson and Scholes. A very interesting read is, “The Execution Trap,” by Roger L. Martin (www.hbr.org). Ask you boss to let you work with her/him on their specific strategies and plans. It’s good to start working with the lower level strategies (operational strategies) and then work your way up. Spend a couple of years working for one of the big business consulting companies (Bain, BCG, McKinsey, etc.). As you can tell, I’m a big believer in execution. Maybe this is because I’ve seen many organizations spend a lot of time and money on strategy – and stumble during execution. The author, Ram Charan writes, “The biggest obstacle to success is the absence of execution.” Jack Welch probably said it best, “In real life, strategy is actually very straightforward. You pick a general direction (Welch calls this the “big aha”) and execute like hell.” So make sure you have a clear focus on execution – and, the strategy part will be easy. So, the next time you call, let’s have a nice talk about execution, for this is surely where you will make your mark. What do you think? I’d like to hear from you. This entry was posted in Leadership and tagged business strategy, execution, Project Management, strategy, strategy is overrated. Bookmark the permalink. Sorry, but I feel compelled to support the other side of this debate. Dale, you are perhaps the greatest project manager that I’ve had the pleasure of working with and we accomplished so much together. But how can you have been witness to one of the greatest and most creative strategies in the medical glove business and say that strategy is over-rated? We tumbled market shares like a game of dominos because we found a small point of differentiation, turned it into a great value proposition and executed on a creative strategic plan until it brought us to the promise land. Yes, we also had a great team from top to bottom and everyone knew their role, did it well, and with passion. But come on, give some credit to chess players that hovered from above, picked up on key market trends, competitive advantages, developed a vision of the future, and creatively figured out a way to make millions of dollars for the company. Or did you think it was really was all an accident? What I do like about your article is your recommendation – especially the second and third bullet points. Want to become more strategic? Read books about strategy, spend time with people who do it for a living, and perhaps take one of the many management seminars on the subject. Business strategy isn’t hard to lean but a strategic mindset can be difficult to develop. And you are right, I would rather have a good team than a good strategy, if I had to choose only one. But having both a good strategy and a good team … now that’s pure magic!